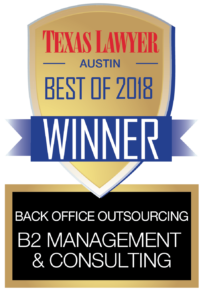 Texas Lawyer – Best of Austin Award – Back Office Outsourcing – B2 is excited to receive this recognition from the Texas Lawyer and want to thank our clients and everyone who voted to honor us with this award! We greatly value your continued confidence in our services and look forward to working with you in the future! 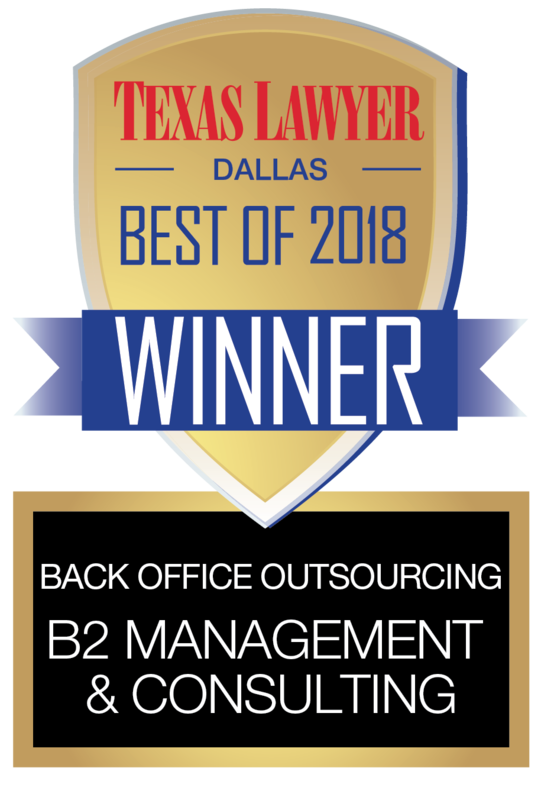 Texas Lawyer – Best of Dallas Award – Back Office Outsourcing – B2 is excited to receive this recognition from the Texas Lawyer and want to thank our clients and everyone who voted to honor us with this award! We greatly value your continued confidence in our services and look forward to working with you in the future! 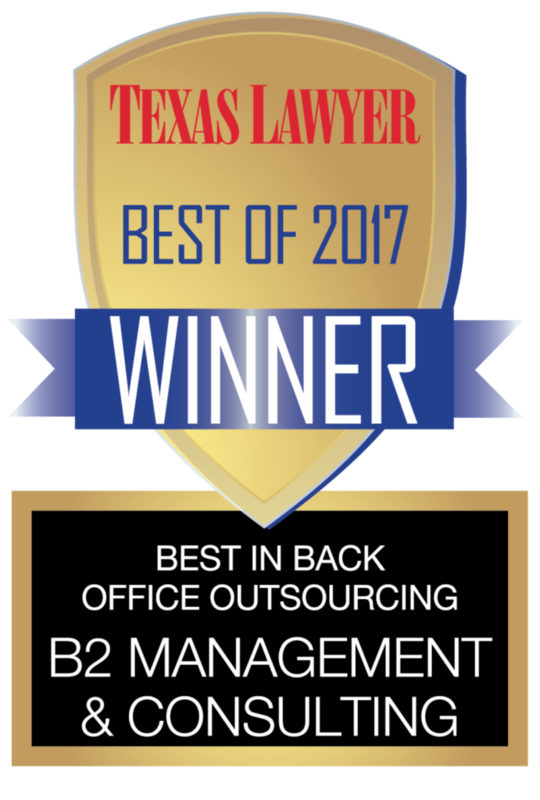 Texas Lawyer – Best of Houston Award – Back Office Outsourcing – B2 is excited to receive this recognition from the Texas Lawyer and want to thank our clients and everyone who voted to honor us with this award! We greatly value your continued confidence in our services and look forward to working with you in the future! Read the latest article by Brenda Barnes – Pricing in Today’s Legal Market. Brenda Barnes was featured on a webinar on November 29, 2017, to learn more about Budgeting & Cash Flow Forecasting for Law Firm Administrators. 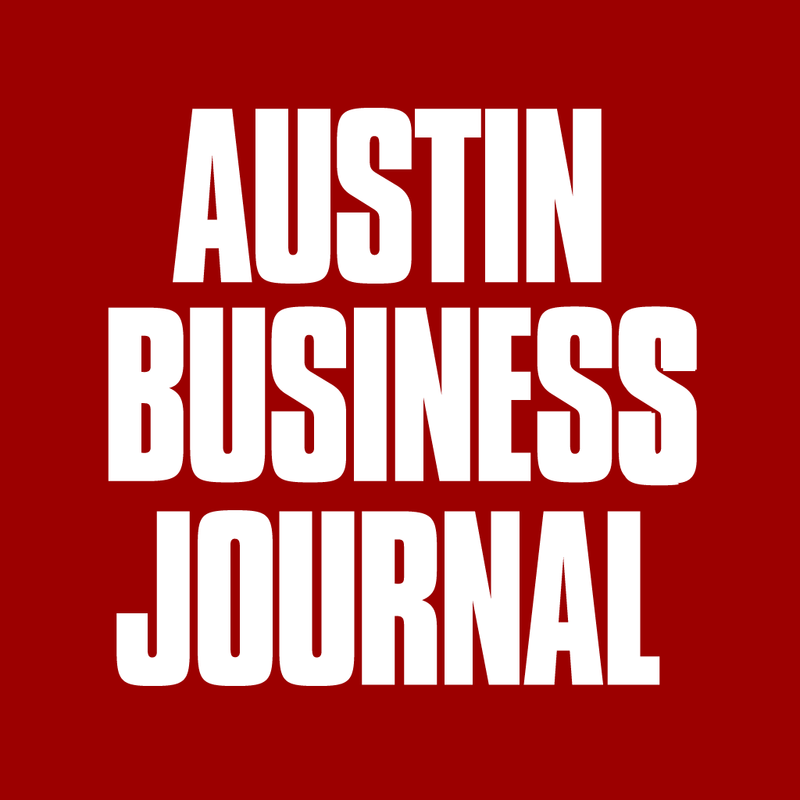 B2 was excited to receive this recognition from the Texas Lawyer and want to thank our clients and everyone who voted to honor us with this award! We greatly value your continued confidence in our services and look forward to working with you in the future! Brenda Barnes was featured on a webinar on February 22, 2018 – learn more about the latest trends and developments in Legal Pricing. 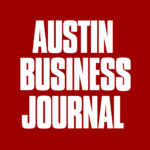 Law Technology Today: More information from Brenda Barnes on the efficiencies associated with new technology in managing back office needs. 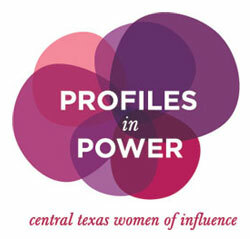 Brenda Barnes, was nominated for a third time for ABJ’s Profiles in Power & Women of Influence! We are so proud of her accomplishments not only in designing a work environment making this one of the greatest places to work but also by being recognized by her peers for her accomplishments as a successful business woman.